Owais Raza Qadri’s Biography AlHaaj Muhammad Owais Raza Qadri is the crownless king of present day Sana Khawans around the world and undoubtedly the most heartily loved, popular and legend of Sana Khawans, known for his melodious voice and unique style of expressing his great love and respect with the Holy Prophet, Hazrat Muhammad . He emerged with a revolutionary voice and unique style with a zeal to surpass his own targets and a performer par excellence. 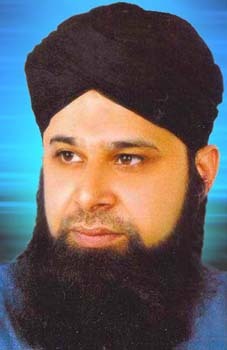 Today he is an ideal for millions of Ushaqan-e-Rasool across the globe. He is a legend, and the journey has just begun. Muhammad Owais Raza Qadri was born on 8th. July 1970 in Pakistan. He is Intermediate in academic qualifications. He has performed several Hajj and Umras, the first Umra being in 1992 while the first Hajj in 1996. Apart from Holy Places, Pakistan is Owais Qadri’s favourite country. He rests after 8 o’clock in the morning. Each night two or three Mehfil-e-Naats were used to be attended but now onwards, there will be just one each night. He is currently working on an new album. He started reciting naats at the age of 8 only. 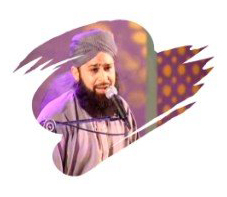 He Recites the Kalaam of Imam-e-Ahle-sunnat, Alahazrat Shah Ahmed Raza Khan Sahib Barelvi is most liked by Owais Raza Qadri. His first album was released in 1983 and after that numerous albums have been released. He has traveled to many countries of the world spreading the message of Islam and love for the Holy Prophet including England, Dubai, Iraq, Iran, India, Hijaz-e-Muqaddas South Africa, Zimbabwe, Tanzania, Malawi, Kenya, Syria etc. 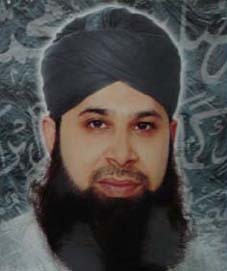 Regarding his future plans, Owais Qadri states that he will continue reciting naats and work for getting people back to the path of Sala’at-o-Sunnat. 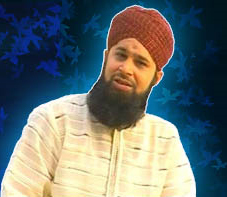 Muhammad Owais Raza Qadri advises new naat khawans that Naat Khawani is Ibaadat and before reciting any naat essential knowledge should be collected about it and special care should be taken to ensure that it is not objectionable by Islamic Shariah. It is best to check all naats with a learned scholar. MashAllah! Sob naat hi bohot accha hein. plz give me Tu shamme risalat hays lyrics.